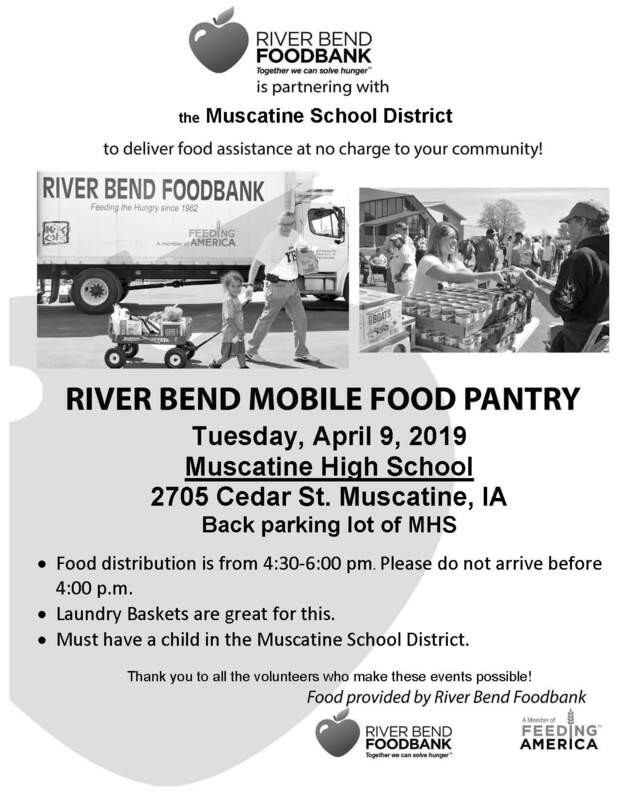 River Bend Mobile Food Pantry Coming to MHS Next Tuesday, April 9 from 4:30-6pm! Muskie Locker Requests: Students, if you need supplies from the Muskie Locker and do not have time to stop by, you can go to Student Services/Guidance and fill out a form listing the supplies that you need. 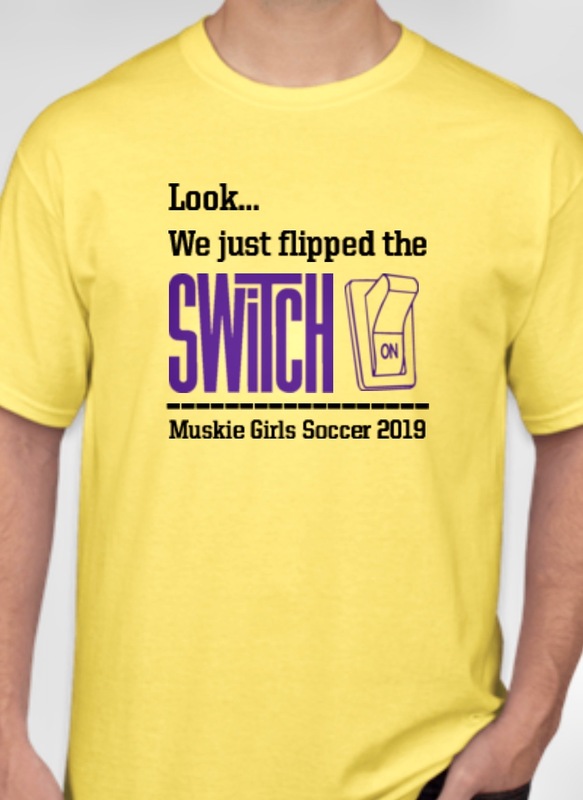 The Muskie Locker will then bag these supplies and have them ready for you to pick up in the guidance/student services office at the end of the day or by the next day. TONIGHT! 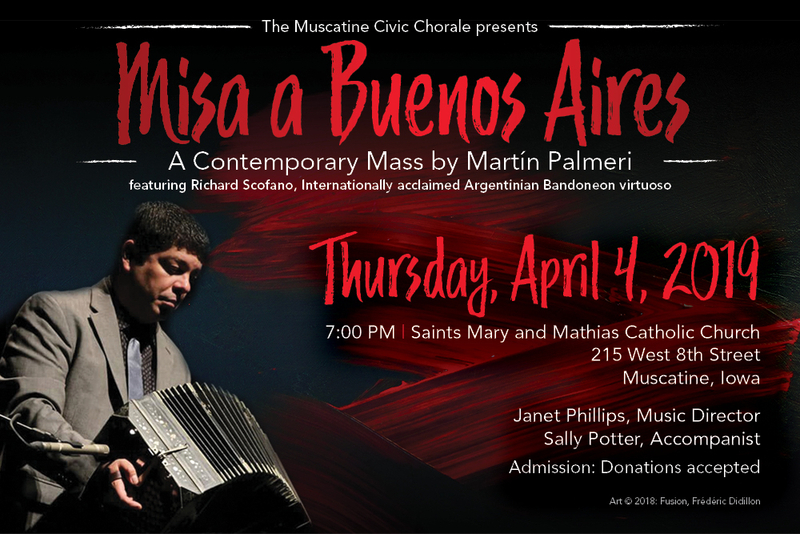 The Muscatine Civic Chorale presents “Misa a Buenos Aires” by Martin Palmeri at 7:00 pm, Thursday, April 4 at Ss. Mary and Mathias Catholic Church, 215 West 8th Street, Muscatine. The performance features bandoneon virtuoso Richard Scofano. The concert is free and open to the public. Members of the Chorale and instrumentalists include MCSD staff members Annette Hovland, Deb Paulsen, Jon Thoma and Gail Pusateri as well as MHS graduate Nathan Paulsen. Spectators should bring lawn chairs as seating is VERY limited on Field A and B and non existent on Field C.
Juniors & Seniors: NEW DRESSES & SHOES ADDED!FREE PROM attire — dresses, suit jackets, pants, shirts and shoes outside the Main Office – Rm 11-001. Check them out before school, during lunch or after school. Various sizes and styles. 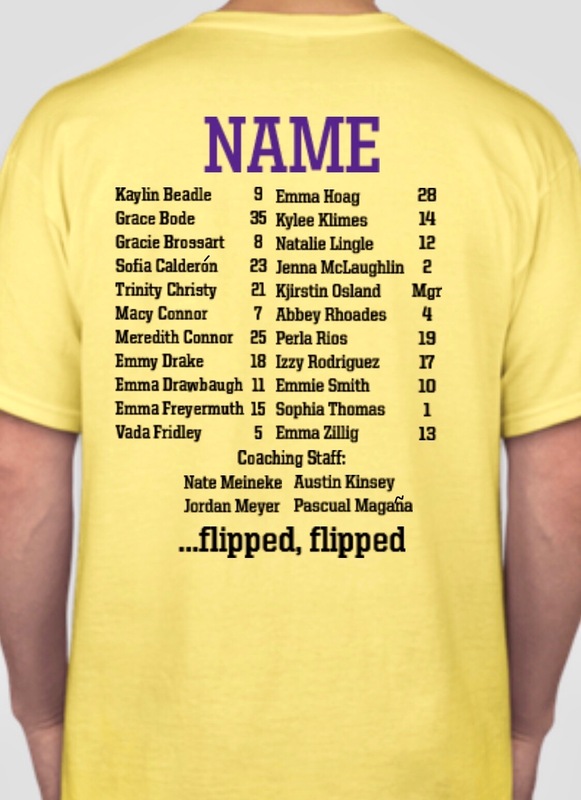 See Mrs. Borde with any questions. McKinley Spring Carnival: The Annual McKinley Carnival is right around the corner (April 6) and we are in need of volunteers to help run games and do Face Painting at the event. Most games require 2-3 volunteers, so recruit a friend and join us for a good time. You can sign up at this link or call McKinley Elementary at 263-9049!